We always lift weights thus placing a stress on our tendons and connective tissues. In case when we get enough time to rest tissues heals and become stronger to be able to support stress next time. In event of not getting enough rest the risk of trauma is unavoidable and if you don’t pay attention to this problem things may worsen. One of the problems some bodybuilders, weightlifters and other sportsmen may get is Tendonitis. Tendonitis is the painful inflammation of a tendon and its ligaments. If it is not treated it may become chronic or long-lasting. Usually it occurs in shoulders (rotator cuff tendinitis), elbow, (tennis elbow or golfer’s elbow), wrist and thumb, knee (jumper’s knee), ankle (Achilles tendinitis), and hip. Some of tendonitis symptoms are: Pain when the tendon is under pressure and swelling, however to have pain is enough to start worrying. That is why it is so important for bodybuilders to take care of your tendons and connective tissues. Do not wait until you will feel pain better to do some prophylaxis and routine maintenance to keep your tendons and connective tissues healthy and strong. I will give you some advices on how to keep your tendons, ligaments and connective tissues healthy and strong. 1. Warm up – before you start lifting do some movements with your hands and legs. It is important to do some prophylaxis at least 1-2 per year to prevent any problems with your joints. Consider taking these supplements for your next prophylaxis stage. – Fish Oil (Omega 3)– It is rich in EPA (eicosapentaenoic acid) and DHA (docosahexaenoic acid) which provide anti-inflammatory effects as well as reduce inflammation and pain associated with arthritis. 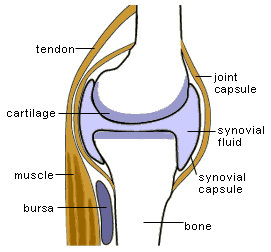 – Glucosamine and Chondroitin – both will help in maintaining joint integrity and repairing damaged cartilage. – Curcumin – relieves pain and inflammation. – Vitamin E – Vitamin E actually improves joint mobility and prevents buildup of toxins in the joints. Also this vitamin will support your joints as you age. Also it works as anti-oxidants eliminating toxins from body. Train hard and take care of your health. That was really useful article. Thank you.